IF last year's response is anything to go by, BRUCE MATHISKE'S upcoming gig at CHRIST CHURCH CATHEDRAL is set to be a sell-out. 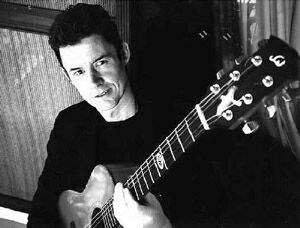 The extraordinary guitarist (pictured above) performed a special showcase concert at the cathedral last year and the overwhelming response has seen him organise another for 2002. On Saturday from 8pm, Mathiske will perform an acoustic show playing guitars handcrafted by Novocastrian JIM WILLIAMS. Both Mathiske and Williams agree that the quality of the guitars and the amazing natural acoustics of the venue will ensure a breathtaking performance. On Saturday night, Mathiske will play Williams' nylon string and 12-string guitars. Williams will be on hand during interval to chat about his craft. For Mathiske fans, it will be the last chance to see him live in Australia before he jets off for a European tour. Mathiske is set to perform a 10-date tour of Ireland and at the FYLDE FOLK and BROADSTAIRS FOLK FESTIVALS in England. Tickets to Mathiske's cathedral show are $20 for adults and $15 concession. Phone 4947-7443.